Constructing your terms and conditions of employment to reflect business operations and current legislations ensures clarity of rights and obligations as well as allowing the company to operate flexibly and responsively to business changes and customer demands. This service ensures that your company polices and procedures are up to date, reflecting current legislation and any legislative changes as well as your comany rules, operations and practices. This service covers the drafting and implementing of the important policies and procedures that your company needs to operate its people managemnet issues effectively and compliantly. Ensuring your staff handbooks are up to date and reflect current legislation and company policies and procedures in a clear and user friendly format. 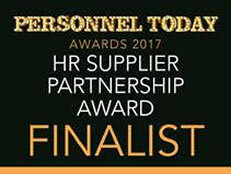 For further information on any of our HR Consultancy Services, please contact helenmcdougall@new-tricks.co.uk.